November 2016, Richair was invited to the Mitsubishi Diamond Contractor Conference which took place at the Foxwoods Casino in Connecticut. This convention focused on the northeast USA market for HVAC solutions. The Diamond Contractor Conference event offers seminars on the especially valuable benefits of ductless technology. Richair has shown initiative and quality as a standard in HVAC solutions in the NYC area. 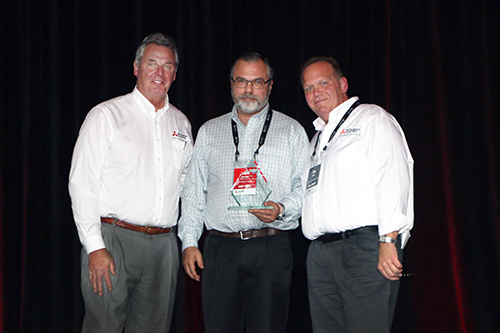 As a result, Mitsubishi presented Richair with an award of Excellence. Owner Boris Ermant accepted the award on behalf of the company in front of over a hundred local Diamond Contractors. The seminars are an on-going initiative to give contractors the tool they need to understand today’s quickest growing HVAC marketplace. Furthermore, the occasion consisted of sales and company training, networking opportunities along with demonstrations on the present state of the market, in-house selling techniques and hints as well as the profitability of selling ductless.